So, You Want to Be a Disciple-maker? In verse 19, Jesus gave us the assignment, but He didn't leave it there. He assured us of His continual presence as we obey His command and, just as importantly, he told us how to do it. How are we to make disciples? By baptizing them and teaching them to obey. For more than 20 years, Insight for Living has offered Bible study resources to accompany Chuck's radio broadcasts, and many people have told us how much they appreciate them. So when I had a chance to meet a large number of listeners at several of last year's events, I was eager to learn how we might improve our workbooks. I was delighted to discover that many-if not most-use their workbooks for teaching in church or in small groups. When I reported this to our Creative Ministries team, we were both encouraged and convicted. These faithful disciple-makers are taking The Great Commission beyond the comma and following it all the way to the end of verse 20. To prepare the very best resources for these teachers and group leaders, the Creative Ministries team of theologians, writers, and editors decided to take a bold step with the new So, You Want to Be Like Christ? workbook. 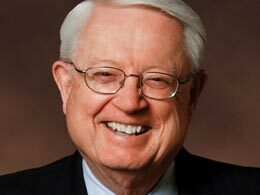 This fit very well with the challenge we received from Chuck and Cynthia Swindoll. “In addition to meeting the spiritual needs of listeners to the Insight for Living broadcast, create resources that will equip teachers, church leaders, and pastors as they carry out The Great Commission.” According to Ephesians 4:11-12, the Lord called these men and women for “the equipping of the saints for the work of service, to the building up of the body of Christ.” Our desire with the new workbook format is to equip the equippers. We began by putting together groups of volunteers to help us determine what combination of features and format would encourage the most edifying learning experience. After study, observation, and some creative thinking, we produced a very different kind of workbook-one that embodies a few core values that we chose to guide the preparation of each new resource. Chuck begins his preparation for each and every sermon with careful Bible study that follows a four-step method taught by Dallas Theological Seminary, where he is Chancellor. (For a description of this four-step Bible study method, visit us at www.insight.org/newsletter.) The new workbook will use this method to guide readers through personal interaction with the Bible, though the structure of the material will not be obvious to the untrained eye. In addition to creating trusted Bible study resources for individuals, the workbook must equip teachers and group leaders to share their learning with others. So, we have incorporated discussion questions and suggestions for how to make the most of a group's time together. We believe that the best lessons are planned well, organized simply, and communicated clearly. Following a brief summary of the corresponding chapter in Chuck's new book, the workbook uses a simple, three-section structure to help the leader guide the group toward a greater understanding of Scripture and how to apply it. Jesus commanded us to teach disciples to obey. Because obedience requires specific changes in behavior, the application of Scripture must be definite, genuine, and take into account the complexities of life. No lesson is complete unless the learner leaves with a clear understanding of what he or she needs to do differently. A fresh or altered perspective will help, but to experience the full benefit of learning, a person must know how to alter his or her behavior in order to enjoy obedience to Christ. Carefully designed questions and exercises help students discover how to apply their new-found Scriptural principles for themselves in personal ways. Each person, each teacher, and each group is different. Everyone does not learn in the same way, and each teacher has a personal style that works better for him or her. And, let's face it; everyone does not come to the group session prepared. So, any Bible study resource must be adaptable to the needs of the group and the gifts of the leader. The Creative Ministries team is particularly excited to see this powerful new resource in the hands of fellow disciple-makers around the world. So, You Want to Be Like Christ? is a study that has far-reaching implications for the spiritual life of believers, and the perfect study to begin this new format. Jesus said, “If you love Me, you will keep My commandments” (John 14:15). The eight essential spiritual disciplines discussed in this book begin and end with an emphasis on our relationship with God. It's the essence of both discipleship and disciple-making. In terms of The Great Commission, this is a practical, applicable combination of teaching and learning material. Leading others toward greater intimacy with the Almighty is our highest privilege as believers. We trust you will find this resource an invaluable tool in your personal ministry.